We are looking forward to our Best Adventure yet at this years SHRM conference. Be sure to join us Wednesday evening for great conversation and to kick things off. You’ll get your passport when you join us in the exhibit hall. Visit our vendors, learn about their resources and get your visitor stickers. Once you have completed your evening adventure and collected the right stickers be sure to enter for one of our Wednesday prizes. When you are in the exhibit hall be sure to stop by the mirrored photo booth to get the most memorable pictures. Stop by the Money booth to catch some cash too! Visit our exhibitors throughout the day on Thursday to complete the second half of your passport adventure. You’ll have the chance to meet and talk to our exhibitors as you are collecting stickers. Be sure to turn in your full card at the end of the day to be entered to win one of our grand prizes Thursday evening. Thursday evening will be offering a couple adventures! 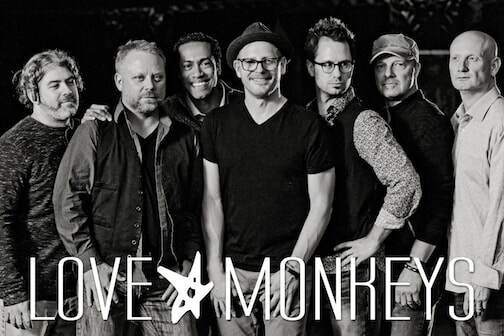 You will have the chance to meet and mingle while enjoying “The Love Monkeys” band. They always make for a great time. You’ll also have the chance to go next door and play some pub style games while listening to music from afar. Visit www.lovemonkeys.com for a sneak peak!